“To produce and supply high quality and safe products that satisfy customers’ requirements. Dan Kaffe has a complete CIP system to ensure effective cleaning of the lines and tanks. We have 3 laboratories that control the quality of our product from Green bean up to finished products. 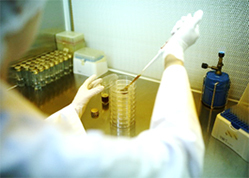 - We do physical and chemical analysis of intermediate and finished products. - To check incoming raw materials (Green Bean and Packaging Materials). 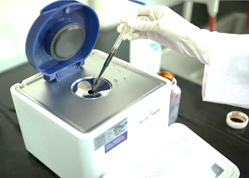 - To conduct microbiological test in different stages of the process, tanks and water monitoring. - To conduct sensory analysis for the incoming Green Bean, intermediate and final products. Dan Kaffe is currently certified ISO 9001:2008, FSSC 22000:2013, Halal and Kosher. Dan Kaffe has 3 fully equipped laboratory to check Color (Colorimeter), Brix (Refractometer), Density (Free Flow), Sediment, pH (pH Meter), Moisture (Moisture Analyzer), Particle Size, Caffeine of intermediate and finished product (HPLC), as well as Green Bean defect.